-RwandAir, the national flag carrier of the Republic of Rwanda, wishes to inform its esteemed customers and the public at large that the airline will be relocating to Terminal 2 at Dubai International Airport effective March 29th 2015. The Terminal 2 is a friendly terminal which has been recently renovated and refurbished with all necessary facilities such as bars, restaurants, cafes, duty free and lounges. “Our passengers will benefit from quick immigration and baggage process leading to a more efficient check-in process and exit out of the Terminal” ; said Gobena Mikael, the General Manager Commercial, “Transit passengers will also have an intra-terminal bus shuttle and through checked baggage will be automatically transferred”. 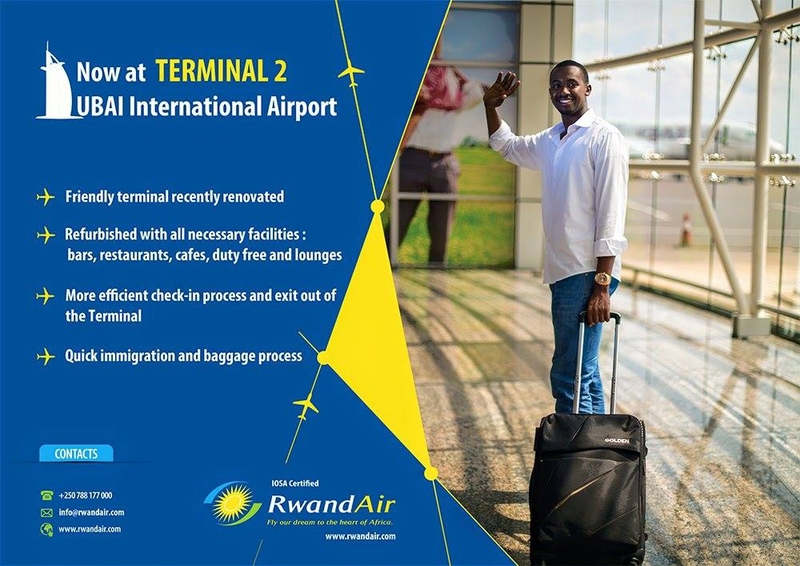 For more information, please contact us on info@rwandair.com, or your nearest RwandAir sales office.